Every woman dreams of her own dressing room. I had a childhood friend whose mother had the most amazing dressing room. When she would leave the house, we would go in there just to admire the clothes and sit at her dressing table. 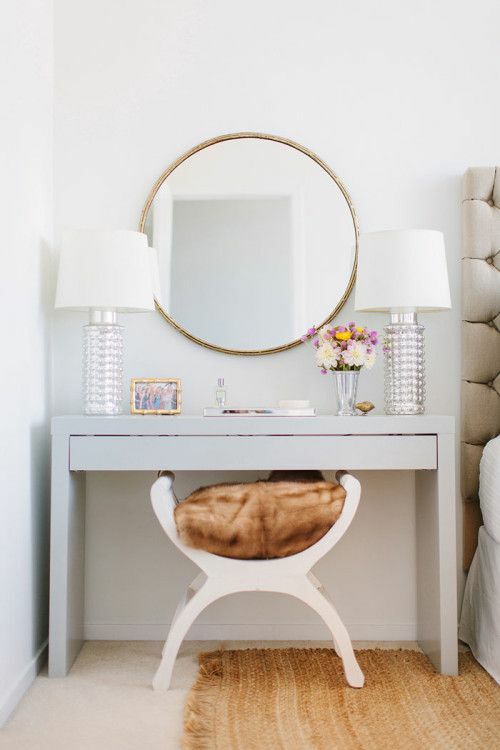 Any room—even small spaces—can be transformed into your own personal dressing room. A floor length mirror, clothing racks, and an ottoman are just some of the components to a beautiful dressing room. 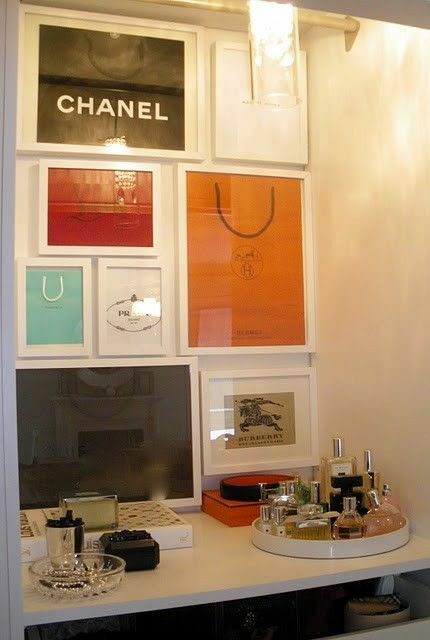 Framed shopping bags are quick and easy art for a dressing room wall. 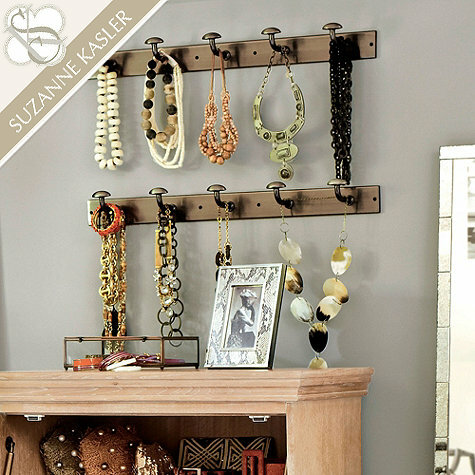 Different sized trays are great to corral jewelry or display a collection of perfume bottles. 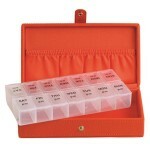 These lucite boxes from Design Darling are another option for storage on a dressing room table. A chandelier always brings glamour to any space. Use shelves and cabinets that can be combined to create a dressing room to fit your needs. 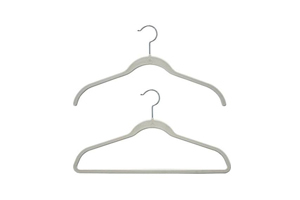 Wall hooks are perfect for hanging purses, jackets or belts. Baskets with or without lids can help keep the room free of clutter. The Malm dressing table from Ikea is simple and inexpensive. Add a chair that is an heirloom or a simple Philippe Starck style Ghost Chair to complete the look. 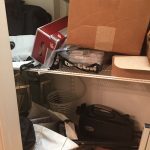 Add a beautiful silver framed picture of someone that is special to you and some beautiful flowers and your dressing room will feel like a scene out of a movie. Enjoy your new room!